Wonderful apartment in the center of Madrid, enjoying the Barrio Salamanca and Retiro Park, by which you will reach the main museums of the capital: Museo del Prado, Thyssen and Reina Sofía, in addition to the Puerta del Sol and Cibeles. 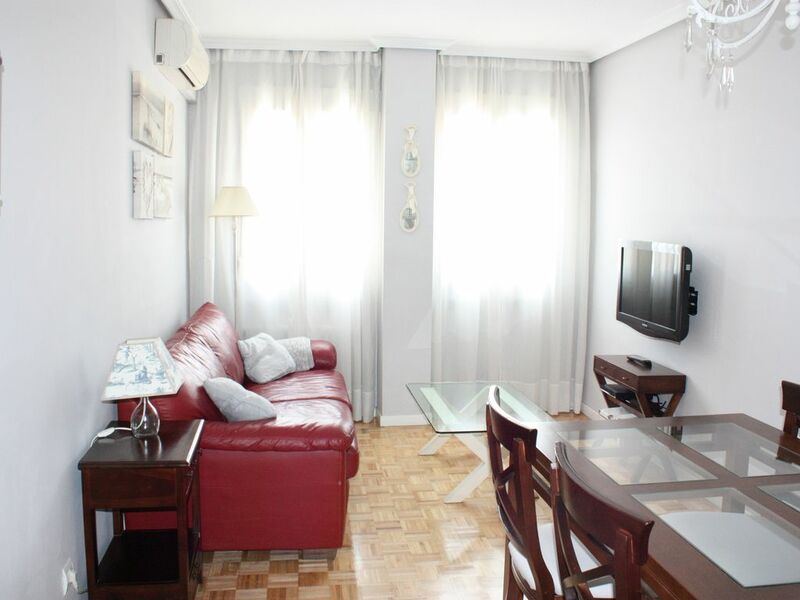 Wonderful flat at the City Center of Madrid. Enjoy the Salamanca neighborhood and walk through the Retiro Park, Which will led you to the best museums of Madrid: Prado, Thyssen and Reina Sofía, and Also to the Puerta del Sol and Cibeles. You'll find one of the best tapas bars of Madrid, you can stroll through the Retiro Park and shopping down the street Goya and Serrano. You will be in one of the best TAPAS areas of Madrid, you'll be reliable take a walk by the Retiro Park and go shopping to the Goya and Serrano street. Parking not included. There are paid parking next to the apartment, on Calle Ibiza 62, Calle Maiquez 21 and Calle Narvaez 80, the latter is the cheapest for stays per day. There are several parkings near the apartment. Calle Ibiza 62, Maiquez Street 21 and Narvaez Street 80, the last one cheaper for day reservations. Our family of 3 just spent 2 weeks in this apartment and were very happy with it's set up, location and amenities. We felt very comfortable and at home, it was spacious, clean and well presented. We did find the bed quite hard and the pull out bed in the living room has a mattress that is warped but our three year old didn't complain. We also didn't use the washing machine as it was pretty mouldy with a strong mouldy odour. But these were all minor issues that we worked around and were more than happy that we chose this apartment for our stay in Madrid. The owner, Javier, was very helpful and easy to deal with. He was responsive and accommodated our request for early access to the apartment. We would definitely book it again for future visits. The apartment is very good located, very quiet and nice, better than the pictures! For sure I'll book again.